Within the Radical movement the irreconcilable conflict between city and architecture, and between architecture and objects, became an opportunity for a work of criticism and design that was apparently unified, but in reality driven by divergent strategic hypotheses. With No-Stop-City, Archizoom Associati fully developed the hypothesis of a city without architecture, where the loss of meaning of the typological and compositional processes coincided with the fluid space of the market, of the information network; in the inexpressive silence of the historic scenario of architecture, faced with the expressive power of the kitsch of the Dream Beds. At the same time, with the Continuous Monument, Superstudio tackled the other possible (but opposite) theme, that of an architecture without a city, affirming the supremacy of the monument in the recomposition of the universe, and in the order represented by the checks of the "Quaderna" surface, which extended indifferently from great territorial walls to the tables for Zanotta. The third category of design emerged with the activity of the UFO group, and can be called objects without a city and without architecture. An important theoretical position that saw a revolution in objects (as Tafuri had already pointed out in connection with Albini's design), as the only possible reality, as the vital and conceptual energy that is unleashed at the moment in which the higher categories break down, and where in the absence of wider systems of meaning everything becomes anarchic, and every object takes the weight of all on itself. But there was also a fourth and more radical category of the Italian movement, the most difficult to identify because it was the one that took the process of the "liberation of humanity from architecture" furthest. After city without architecture, architecture without a city and objects without architecture and without a city, what emerged in the work of Gianni Pettena was architects without a project, understanding by this hypothesis the splitting of the disciplinary atom, the final threshold of the professional act as an independent form of energy, not linked to the function of construction. 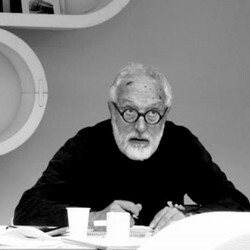 In fact Gianni Pettena's activity was one of criticism, a criticism founded on the centrality of the architect (or rather the an-architect) and no longer of the architecture, where the project, freed from the limits of construction, became conceptual activity, land art, action, happening. "Architect without architecture" or "project without architecture" are expressions referring to the vision of an activity of environmental transformation that develops following the profound action of a weak and diffuse enzyme, and one that is therefore hard to control and govern, but which can be used by vast sections of society, and which serves to produce innovation, knowledge, relationships and emotions. By moving into an area close to the territories of art and behaviorism, Gianni Pettena has made a first contribution to an understanding of architecture as the evolutionary energy of a territory and a society, and no longer as practice of construction.